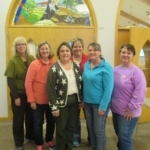 The WELCA (Women of the ELCA) group at Long Lake Lutheran is the umbrella group for many of the women’s ministry groups throughout the congregation. All women on the membership of the church are members of WELCA and are welcome to participate in any of the service events and fellowship opportunities available at the church. The WELCA women do quite a lot of service and housekeeping around the congregation, as well as service to and for the community. Each subgroup of WELCA has their own focus, but their main focus is praising God through service and fellowship to their neighbor. 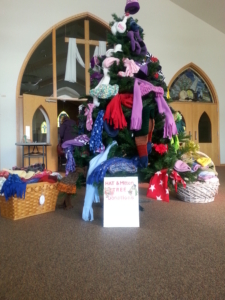 The Sunshine Circle helps create the quilts given during baptisms, decorates the fellowship hall for the seasons, hosts fundraisers such as spaghetti dinners and sales, as well as provides housekeeping for the kitchen, just to name a few of the many acts of service to the congregation. The circle meets every 2nd Tuesday of the month at 1:00 pm in the Fellowship Hall. The Mission Quilters meet on the 2nd Wednesday of the following months… March, April, May, September, October, November from 9:00am – 4:00pm in the basement of the Cornerstone. 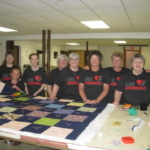 We create quilts to be donated around the world. All ability levels are able to join in the fun – come for an hour or come for the whole day! The Friends of Ruth meet every 2nd Monday of the month at 6:30 pm in the Fellowship Hall. These ladies help prepare Baby Care Kits which are donated to the Lutheran World Relief program to equip midwives around the world when they deliver babies. The ladies also sponsor two events: a fall tea and a spring luncheon. These events provide opportunity for ladies to come together in fellowship and hear from speakers covering a variety of topics. 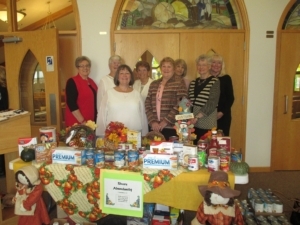 There are so many ways that the women of Long Lake Lutheran are involved in the life of the church – and they would love to have as many women involved from the congregation as possible. Please contact us if you have questions about any of the groups or would like more information about a particular group.